No-one invited Storm Brian but don't let one unwanted guest spoil the party as the cream of European Flat racing assembles at Ascot for a Qipco British Champions Day that seems to get better each year. While the lure of Frankel helped keep the show on the road in its early life, Champions Day, now in its seventh year, no longer relies on one great horse and has an arsenal of Group 1 winners to show off on Saturday. After a difficult birth the day has worked its way into the psyche of British racing and although a bit of bad weather may bring some non-runners organisers are determined it will not wreck the fun. While the merits of waiting until a week before the clocks go back to run Britain’s richest raceday may be open to debate, the concept has found favour even if studying the weather updates on Saturday could be as important as keeping your nose in the form book. 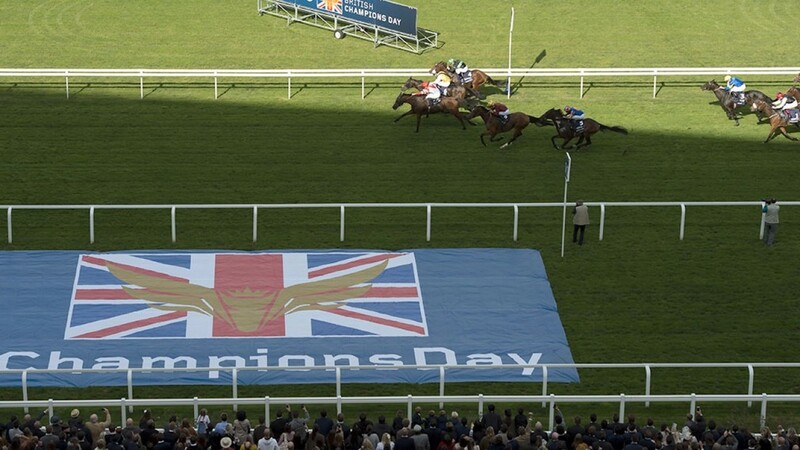 Testing ground did not stop Frankel from running in and winning the Champion Stakes, and that should be the mantra for everyone out to enjoy themselves at a packed Ascot. Can he crack a Group 1? The star of the show is arguably Cracksman, who has the chance to emerge from the shadow of Arc-winning stablemate Enable by landing a Group 1 prize of his own in the Qipco Champion Stakes. The Derby third, who missed the Arc but was so impressive at York and Chantilly, deserves to be favourite. But the drop back in trip to a mile and a quarter for the first time since he won Epsom’s Derby trial in April and a first try against older horses makes this his toughest examination yet. There is no Ulysses, saved for the Breeders’ Cup, but in Barney Roy Richard Hannon is convinced he has a very good one who should have more to shout about on his CV than a St James’s Palace success. Jean-Claude Rouget swept off with the prize last year thanks to Alamanzor and returns with French Derby winner Brametot, while Irish Champion Stakes second Poet’s Word just keeps improving for Sir Michael Stoute. The bend soon after the start means a low draw is seen as advantageous – three of the six winners of the race since it moved to Ascot have emerged from stall three or lower – and John Gosden is not complaining about Cracksman being in stall four, with Barney Roy and Brametot both on his inside. So deep is the quality on show Highland Reel is not among the main fancies for the Champion Stakes on an afternoon when his trainer Aidan O’Brien could eclipse Bobby Frankel’s record of 25 Group 1 wins (with Johannes Vermeer having the chance to bring him level in the Caulfield Cup on Saturday morning). Highland Reel may not like the softening ground, but O’Brien still has 11 other chances and success for Churchill in the Queen Elizabeth II would be one to give him particular pleasure. There is a sense of something to prove about the dual Guineas winner, who has underwhelmed a little since and drops back to a mile after an Irish Champion Stakes in which he received rougher treatment boxed in behind than the bumper cars on Brighton pier. A Churchill win would give O’Brien satisfaction, but Richard Fahey’s emotions would be heading off the scale if Ribchester becomes his first triumph on Champions Day. Few dispute the four-year-old is the best miler around, as four Group 1 wins testify, but success on Saturday would feel like a crowning glory. Fahey will be hoping he does not get trumped again by the twin threats of racing in a storm and Here Comes When, the ingredients that undid his star in the Sussex Stakes. Andrew Balding trains Here Comes When but another of his Glorious Goodwood winners, the highly progressive Beat The Bank, may prove a greater foe this time, along with Jacques le Marois winner Al Wukair. On a feast of a day O’Brien could enjoy the perfect hors d'oeuvre when Arc fourth Order Of St George lines up in a Qipco British Champions Long Distance Cup that would be the highlight of most weekends. As long as the ground does not turn too testing Big Orange should take on last year’s beaten favourite in a rerun of their Ascot Gold Cup tussle, lent extra depth by the presence of St Leger third Stradivarius. Godolphin could set the seal on a great season with success for Harry Angel in the British Champions Sprint Stakes. Plenty will view the July Cup and Sprint Cup winner as the banker of the day, but the presence of Quiet Reflection, last year’s winner The Tin Man and a rejuvenated Caravaggio means nothing will come easy. Caravaggio's trainer O’Brien also has high hopes in the Fillies & Mares Stakes, in which his Matron Stakes winner Hydrangea will need to see off, among other threats, last year’s winner Journey and Prix Vermeille heroine Bateel. The most hard-earned prize of the afternoon is long done and dusted, with Silvestre De Sousa set to be crowned champion jockey for the second time, wrestling the laurels back off Jim Crowley in a contest he had sealed by September. De Sousa has travelled tens of thousands of miles to take more than 850 rides in the truncated period that makes up the championship and deserves maximum respect. The mystery is why on Saturday he will have one of his quietest afternoons of the season with just one ride, Desert Skyline in the opener. At least, like the rest of us, he can sit back and savour what promises to be a magical day.